French colonists of all social strata took advantage of the relatively inexpensive cost of printed media to decorate their homes. These depicted a variety of subjects ranging from maps and views to portraits and religious scenes. Especially popular were engraved images of the king and members of the royal family, as well as Biblical scenes and saints. 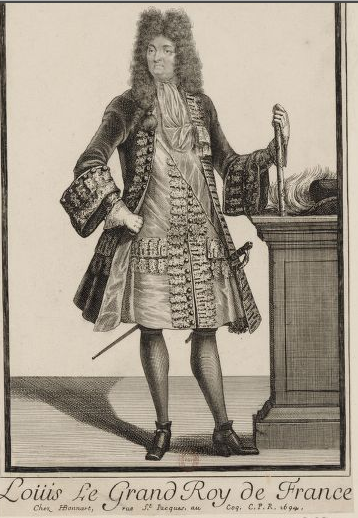 Sovereign Council member Charles-Denis de Vitray owned a map of New France in his Québec home in 1703. The map was displayed in a walnut frame hung in the salle, the principal room of the house. Étienne Charest, seigneur of the Côte de Lauzon, owned a cadre of Saint Catherine protected by glass in 1734.